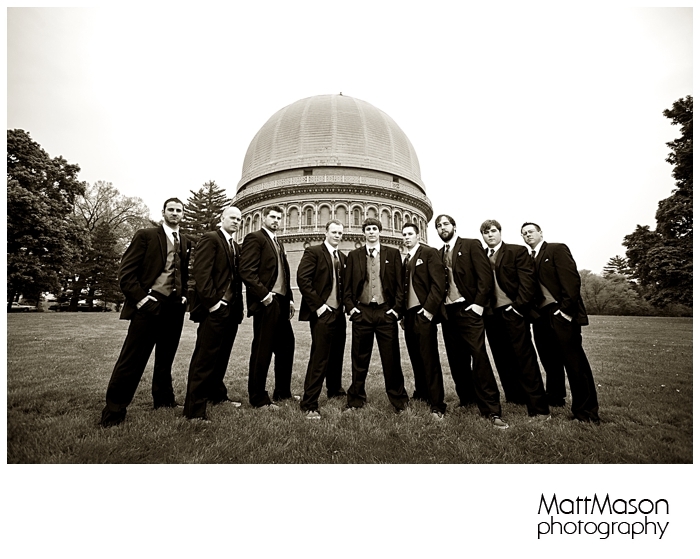 One of my favorite weddings. Well I love so many I can't really pick a favorite. Here are the features that make a wedding like this one so fun. Unique...I love it when the bride chooses themes that are different. Jenny chose pink to honor Breast Cancer Awareness. First Look...I love the first look because it is romantic and take so much pressure off the day and allows me to shoot many more photos for the happy couple. 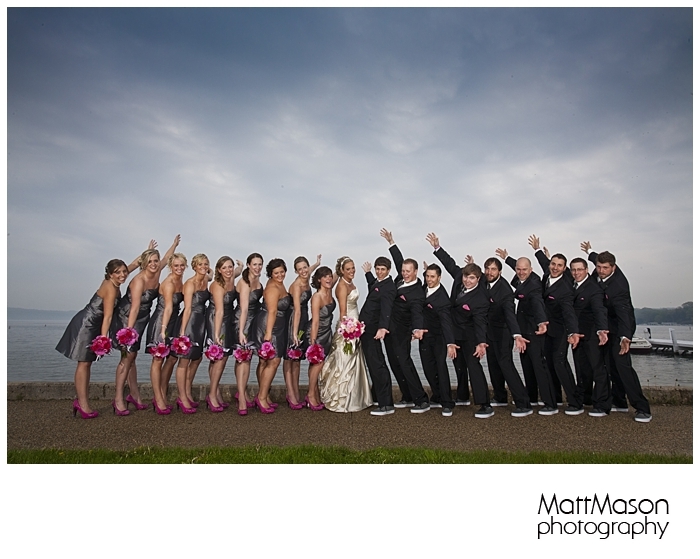 Energetic bridal party. When the bridal party is wild and crazy they tend to be more open to suggestions. This often leads to new and fresh poses and photo journalistic moments. Great music choices for the ceremony and reception. I really dug the music at Jenny and Justin wedding. Time. 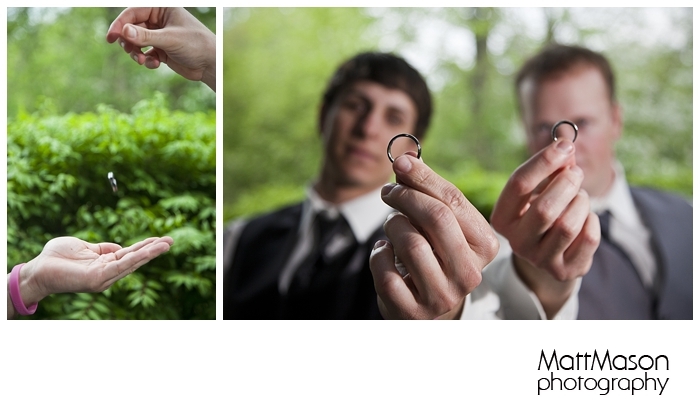 When we have time, especially with the couple, to shoot, we are able to create beautiful and dramatic imagery. Weather. We can't control the weather but when it is in the 70s, even when it is kind of humid, it really helps not to worry about losing the wedding party over the cold or heat. All that said, this was one delightful wedding. I feel so blessed to work with so many incredible couples like this! 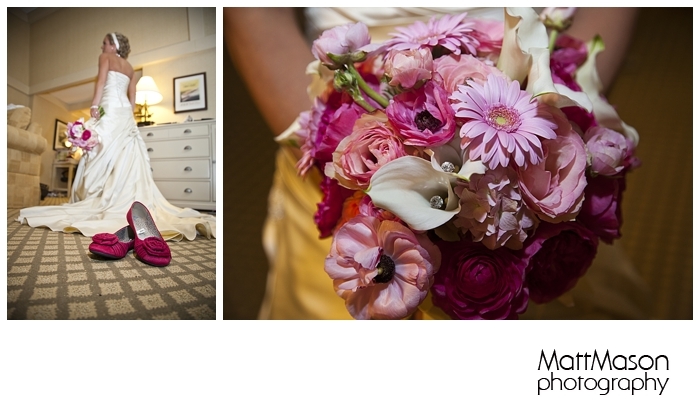 Thanks Jenny & Justin for the honor of sharing your big day!! 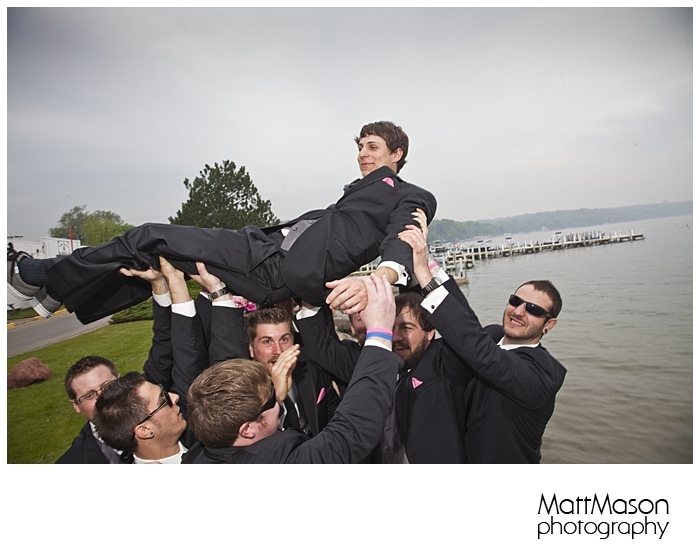 Molle gets hoisted by his groomsmen!